Woochul Song completed his bachelor’s and master’s degrees in chemical engineering from Sungkyunkwan University, South Korea in 2014 and 2015 respectively. 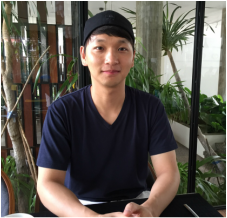 Following graduation, he continued his research works in Korea Institute of Science and Technology (KIST) as a research scientist, until joining Penn State in Fall 2016 with award of Graduate Excellence Fellowship. His research backgrounds include designing organic/inorganic nanoparticles and broad applications thereof into biomedical engineering such as cancer medication or cellular reprogramming. At Penn State, he will work on artificial channel-based membranes for water and gas separations under advising of Prof. Kumar.